The Hilltop is built for families, with thoughtful spaces and storage for a clutter-free home. 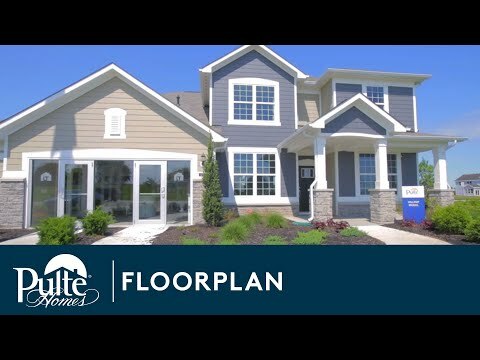 A tandem garage, Everyday Entry®, walk-in pantry, and Pulte Planning Center® keep busy families organized. The large gathering room provides plenty of natural light, and open flow into the kitchen. A dining room and separate café give the option for both casual and formal eating areas. This plan also features an Owner’s Suite with His and Hers walk-in closets. The Hilltop stands out for its smart storage solutions, from the tandem garage storage to the nearby Everyday Entry® and laundry room for clutter-free living. The kitchen features beautiful cabinets and an oversized island and café. A separate dining room means there's space for casual and formal gatherings. Add an optional sunroom to extend the main living area and enjoy an abundance of natural light.